Updated as of October 16. Join us for fall outdoor movie nights under the stars at Liberty Lorton. 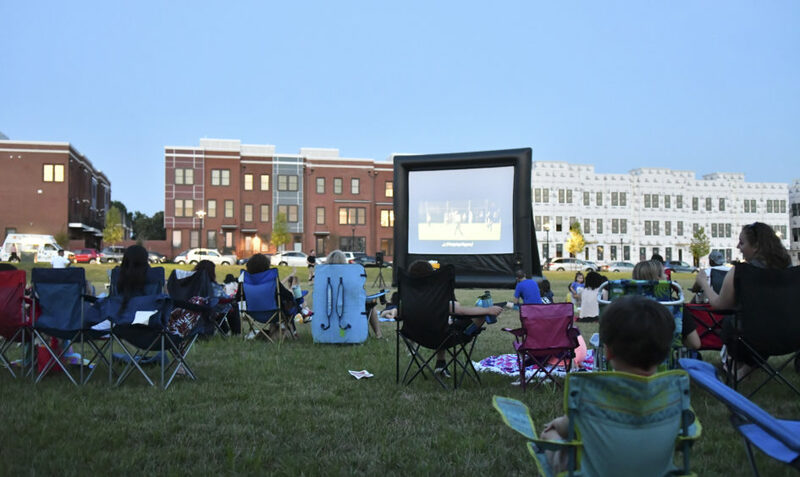 We are hosting a series of fall outdoor movie nights in October for FREE on the Liberty Green — the former baseball field, located on Central Green Street. All Lorton residents are welcome to join so invite your friends and neighbors. Parking is limited, we encourage walking or biking to movie night. Guests are welcome to bring blankets and lawn chairs for seating. Plan on arriving at 6:00 PM and the movies will begin at dark. Popcorn will be available to attendees – first come, first serve. TIME: Arrive at 6:00 PM; movie begins at dark. A fairy tale adventure about a beautiful young woman and her one true love. He must find her after a long separation and save her. They must battle the evils of the mythical kingdom of Florin to be reunited with each other. Based on the William Goldman novel “The Princess Bride” which earned its own loyal audience. In the event of rain or severe weather, check here and on our social media channels for updates and cancellations. We’re looking forward to making Saturday nights Movie Night at Liberty — we can’t wait to see you there!